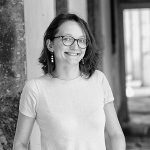 Claire Morelon graduated at the Institut d’Études Politiques (Sciences Po) in Paris and at Yale University and pursued her doctorate at the University of Birmingham and at Sciences Po, being awarded a dual degree. Her doctoral research focuses on a study of daily life in Prague during the First World War and in its immediate aftermath, exploring the experience of war both within urban contexts and on the home front. Before coming to Padova, where she is research fellow working on the Austro-Hungarian case and focusing on the interactions between State and society in the late Habsburg Empire, she was a Junior Research Fellow at The Queen’s College, University of Oxford, UK.